On a hot day, it is certainly refreshing to enter a cool, air conditioned building. Central air conditioning, by which entire homes and other buildings are cooled and dehumidified, is popular in regions that are hot and humid year-round, but is becoming popular in other areas as well. Central air conditioning is also touted as a good remedy for individuals with certain allergies. Smithsonian. Tuesday, 09 Apr 2019 13:24:04 +0000. ABC News. Thursday, 04 Apr 2019 16:00:13 -0400. Air conditioning is actually an old invention. Ancient civilizations got hot and sticky too, and came up with some great solutions to keeping their domiciles cooler. The ancient Egyptians, for example, used the principle of evaporative cooling — the same principle we use in refrigeration today — to cool their homes. In ancient Babylon, a primitive form of air conditioning was accomplished by spraying water on exposed surfaces. As the water evaporated, it absorbed the heat from the dwelling. Romans and Persians ordered ice and snow brought into their homes, and then their slaves fanned it in order to cool things down. Modern central air conditioning systems are designed to cool indoor living spaces during hot weather, and to improve indoor air quality by filtering and dehumidifying the air. 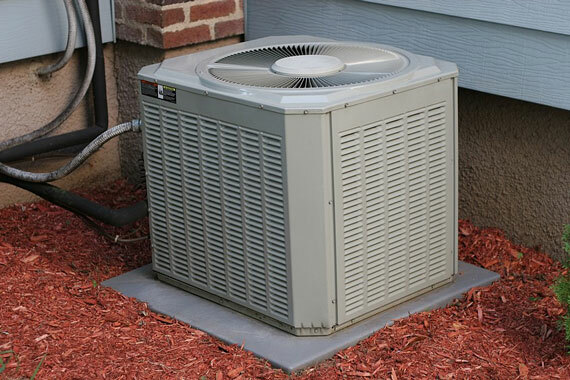 A typical central air system is split between two major components — an outdoor condenser and compressor plus an indoor evaporator mounted on an air circulation system. The air circulation (or "air handling") system filters and dehumidifies the cooled air, and distributes it, via ductwork, to multiple rooms. Central air conditioning is generally quieter than individual room air conditioners that radiate their compressor noise closer to the living areas. When a building is constructed, central air conditioning is often included as part of the building's comprehensive heating, ventilating, and air conditioning (HVAC) system. 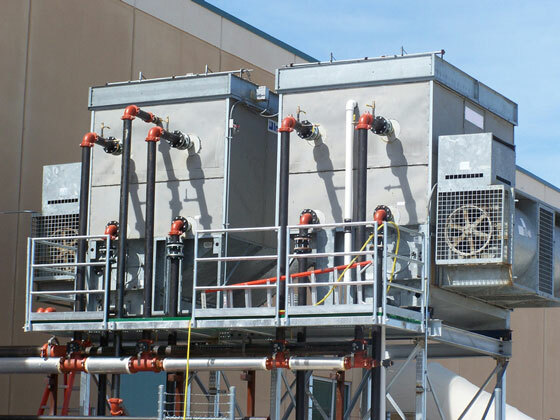 An HVAC system should be designed to provide adequate cooling, heating, and ventilation, taking into account the size of the building as well as its insulation efficiency and the local climate. CentralAirConditioning.us describes how central air conditioning systems work and features links to air conditioning equipment manufacturers. The website also provides access to a contractor matching service to help visitors locate central air conditioning installers and HVAC contractors in their local areas. From furnaces to central air conditioners, heat pumps to air filters, Carrier is a leading supplier of heating and air conditioning products. Offers residential and commercial central air conditioning systems. Offers heating, ventilation, air conditioning, and refrigeration systems. Industry leader in quality and innovation offers integrated comfort solutions. Find total comfort solutions for your home or business. Offers air conditioners, heat pumps, and furnaces for residential and light commercial use. Find high-efficiency heating and cooling products for your home. Offers quiet, reliable air conditioners, furnaces, and heat pumps. 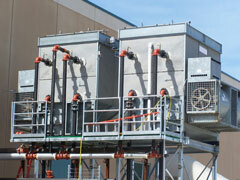 Produces a line of residential and commercial air conditioning and heating equipment. Consumer information and advice about central air conditioning, from the US Department of Energy. Energy Star qualified central air conditioners have a higher seasonal efficiency rating (SEER) than standard models, which makes them at least 15% more efficient.